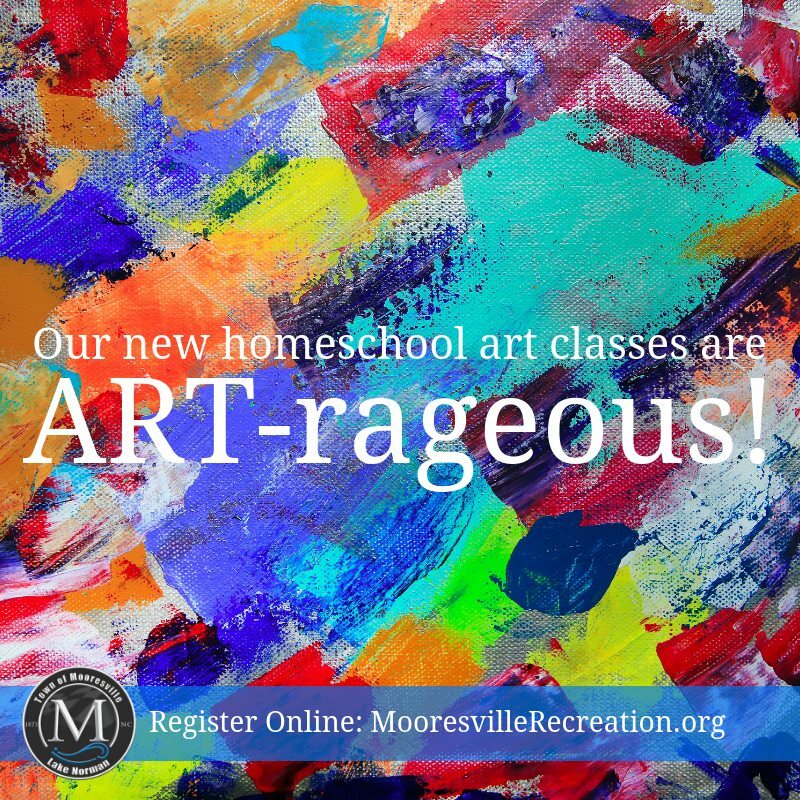 The Homeschool Gossip: Homeschool Art Classes at Mooresville Park and Recreation! Ages 8-18! Homeschool Art Classes at Mooresville Park and Recreation! Ages 8-18! Mooresville Parks & Recreation is making art! **NEW PROGRAM ALERT** It's ART-rageous! We are now offering art classes designed specifically for home-schooled students ages 8-18. Classes will be split up for ages 8 - 12 and 13 - 18. Topics include portrait art, elements of art and weaving with nature.